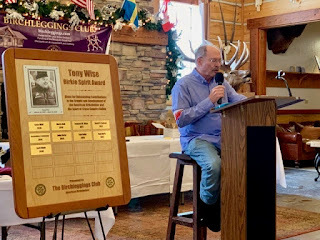 Congratulations to Ned Zuelsdorff, our 2019 Tony Wise Spirit Award Winner! Board Member Steve Carmazon provided background on the award and introduced Ned. A copy of his speech can be found at this link: Steve Carmazon Speech 2019. You can view other photographs on the Birchleggings Club Facebook Page at this link: Birchleggings Club Photographs 2019. You do not have to be a Facebook member to view the photographs. Birchlegger Racing Skiwear from Borah Teamwear - Now Available! Birchlegger Racing Skiwear from Borah Teamwear is now available! Please go to the Birchleggings Store for more information. will remain open until 11/19/2018 at midnight EST. Delivery will be made in December. 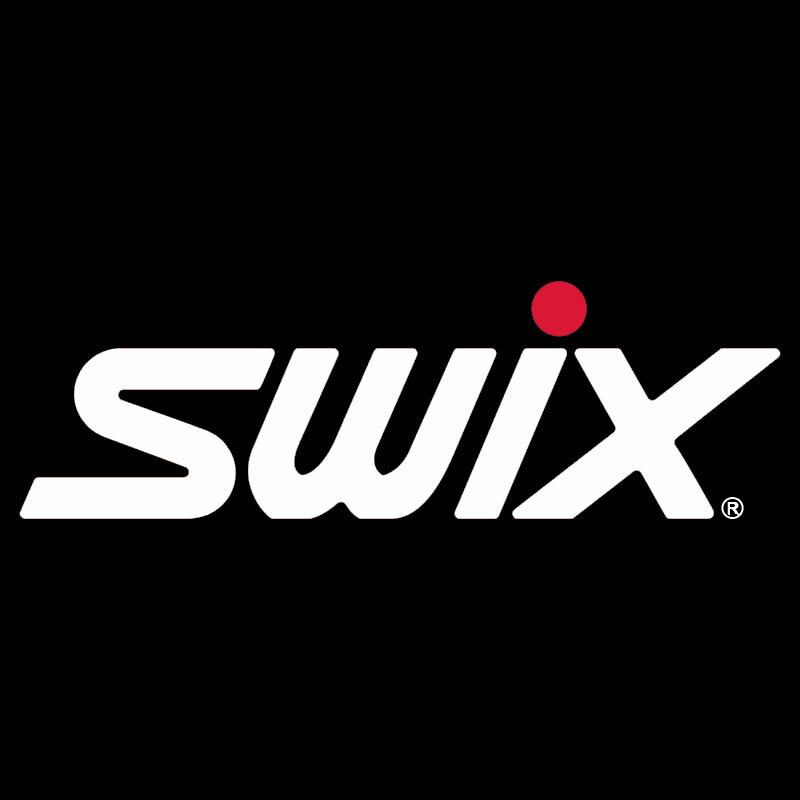 2nd Window will open on 11/26/2018 and close on 12/15/2018. Delivery in January. Go to the Birchleggings Shop for more information! Aspiring Birchleggers! Please Read This Letter from Birchleggings Club President Gale Otterholdt! 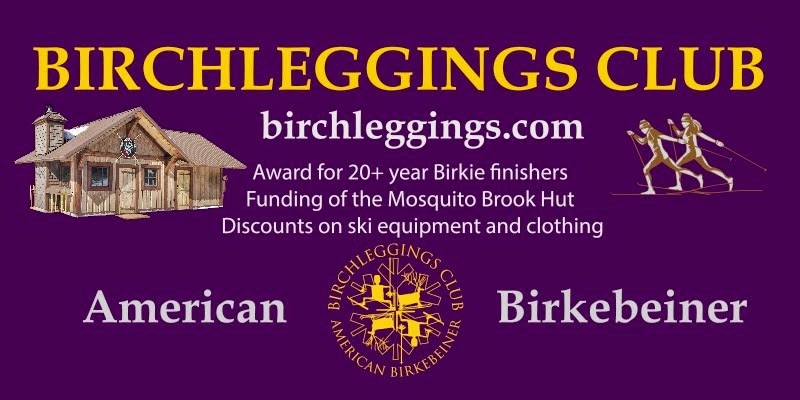 The Birchleggings Club Inc annual meeting with election of Board of Directors will be held in Hayward on Friday, Sep 28, 2018 at the Birchleggings Club Hut at Mosquito Brook at 3 pm. All members are welcome to attend. The Birchleggings Club has been incorporated as a 501(3)(c) since 2013. The election of Board of Directors members takes place at the annual meeting. As per our Bylaws, Board members are elected to three-year terms, with one-third of the nine Board positions up for election each year. The Board terms of current Directors Jim Tenorio, Tom Rowley, and Gale Otterholt will end this year. All three incumbent Board members are running for re-election. However, nominations of other Birchlegger members to run for our Board are welcome. Or if you know a Birchlegger member whom you think would be an asset to our organization, encourage them to be nominated. All non-incumbent nominations for the Board of Directors must be presented in writing to the Nominating Committee by Aug 25, 2017. The nomination must be signed by the nominator and the nominee, both of whom must be members, and five (5) other members. The current list of Birchleggings Club members is posted on our website – birchleggings.com. To avoid having to send a chain letter around to all the signature members, all 5 signatures need not be on the same piece of paper. Rather, a member can print their name and sign a piece of paper. Include on the top of the page, the nominator name and the nominee’s name. Mail to Tom Rowley. If you are having trouble completing the process by Aug 25, please let us know. Questions to Tom Rowley or Dave Balsiger. Ballots will be mailed / emailed to all members on Aug 31. Ballots must be returned by Sep 18, or you can vote in person at the annual meeting. No proxy voting. 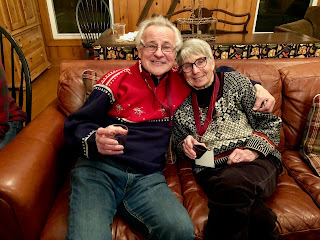 Jack Moin is our 2018 Tony Wise Birkie Spirit Award Recipient and More Birchleggings Club Lists Updated! Jack Moin is our 2018 Tony Wise Birkie Spirit Award Recipient. Below is the introduction of Jack that Birchleggings Club Board Member, Steve Carmazon, gave at the Birchleggings Club Awards Breakfast on February 25, 2018. "The Tony Wise Birkie Spirit Award is given out by the Birchleggings Club to those our Board has deemed have made an outstanding contribution to the growth and development of the American Birkebeiner and the sport of cross country skiing. 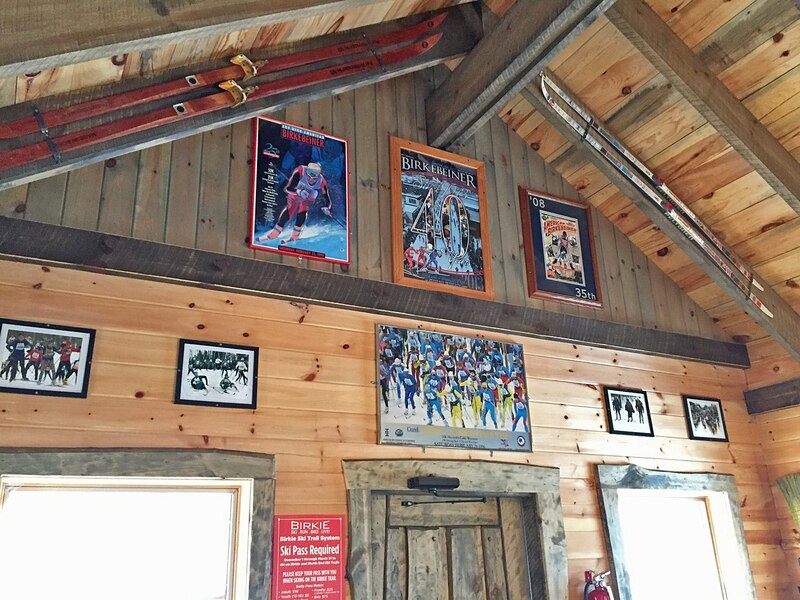 It's named after the American Birkebeiner founder, Tony Wise, for his vision in starting both the Birkie, Korte, Worldloppet, and developing the Birkie trail. 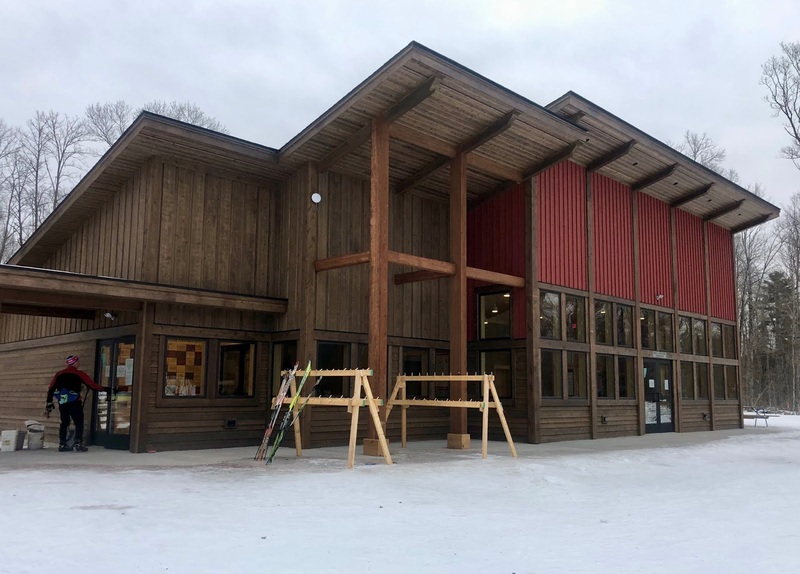 Tony may have paid for the building of the Birkie trail, but he didn't design it. He, (if you'll pardon the pun), wisely hired two great trail designers over time, who gave us what we know today as the skate trail. Those designers are Sven Wiik, and Marty Hall, both who received this award in 2010, and, as far as I know, were paid for their trail design work. Fast forward thru history, as skiing technique evolved, what started out as a classic race, soon became a skating race, forcing classic skiers to share the trail, and, overtime, the numbers of classic skiers dropped. That didn't sit very well with former ABSF Executive Director Ned Zuelsdorff, who began asking for a separate parallel classic trail. He was, as you might guess, met with considerable opposition, but, fortunately found two like minded supporters, caught his vision. The first, was one of our own, fellow Birchlegger, David G. Nelson, who had thirty years experience in the woods with Topo Maps, compass, and eventually GPS, as a Forester. He was joined by today's recipient, and these three, quickly became like the Three Amigos, spending countless hours in the woods. They used Topo Maps, etc., flagging, and reflagging 3-4 times, in their efforts to get it perfect, for what would be the first 9km section of what would be three sections of the classic trail, over a period of three years, to get the classic trail flagged and built from the start to County road OO. I should add that Ned did this in his spare time, apart from his job as ABSF executive director. None of these three were paid for their countless hours of very hard flagging and design work! Their work done, before the loggers could come in to remove the trees, the stump removal crew to do their job, the excavators to do the bulldozer work, and finally many hours of rock picking, final discing and grading to have a trail suitable for skiing. All three of them are truly perfectionists! 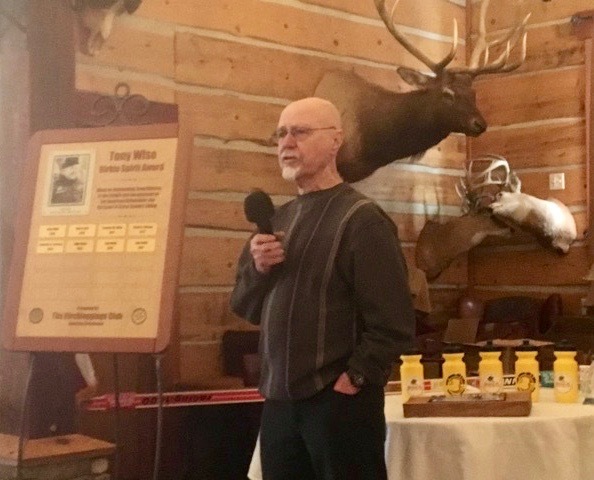 For his efforts, David G. Nelson, who acted as the "Classic Trail Evangelist", in his fervor to get the classic trail done to OO, and his further trail design way past that, was awarded the Tony Wise Birkie Spirit Award in 2012, two years before his passing. I want to contrast David to today's recipient, the "Silent behind the scenes partner". A number of people that attended Davids Hayward memorial service are in the audience today. 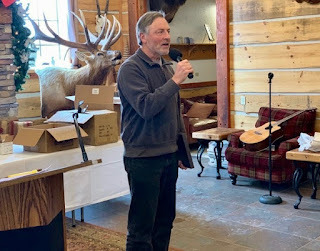 They can attest that among Davids trophies was his Tony Wise Birkie Spirit Award, and he was so proud of his 31 Birkies that his truck license plate was "31 Birkie". Today's recipient told me a story at that memorial service that gives a snapshot of the efforts these two volunteers put into their classic trail flagging design work. It was on the 3rd section of the trail on a hot spring day, the mosquitoes were attacking, Dave and today's recipient were soaked with sweat, worse, covered with ticks, and even worse, out of water, deep in the woods about a mile north of OO, one looked at the other and said, "who is going to carry who to OO?! It's been 6 years since David Nelson received this award, and today it's his "silent partners" turn. 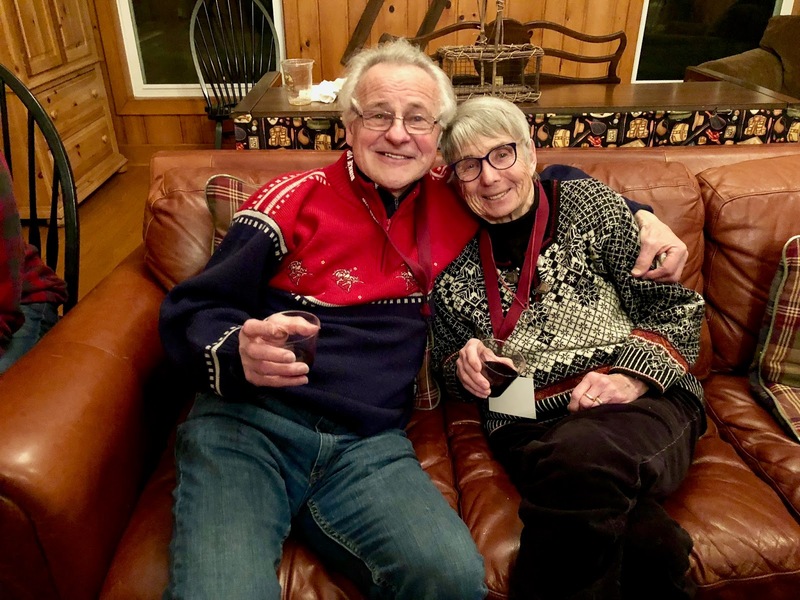 On behalf of the Birchleggings Club Board of Directors, it's my honor to announce the recipient of the 2018 Tony Wise Birkie Spirit Award as Jack Moin!" The Birchleggings Club Alpha Roster, Demographics, and Rank Roster have been updated! See Birchleggers List menu item on the left or go to this link http://www.birchleggings.com/p/membership-lists.html. 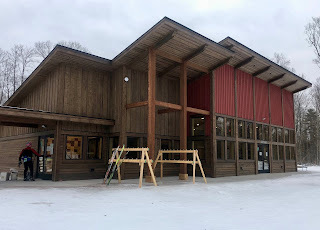 Photographs from the 2018 Birkie and Lists Updated! 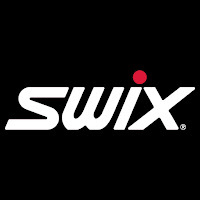 Photos from the 2018 Birkie have been posted at this link http://ow.ly/EE0x30iMmjF. The following lists have also been updated. Birchleggings Club Members; 20, 30, and 40 Year Awards; and Birchleggers in Memoriam. See Birchleggers List menu item from the left or go to this link http://www.birchleggings.com/p/membership-lists.html. The Birchleggings Club Breakfast will be on Sunday, February 25, 2018 from 09:00am to 11:00am at The Steakhouse & Lodge located off of Route 27 just south of Hayward.